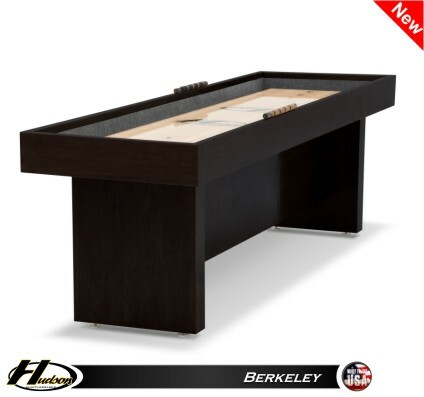 The clean lines and sleek design of the Hudson 22' Berkeley table make it the perfect choice for any home game room, entertainment space, or bar. 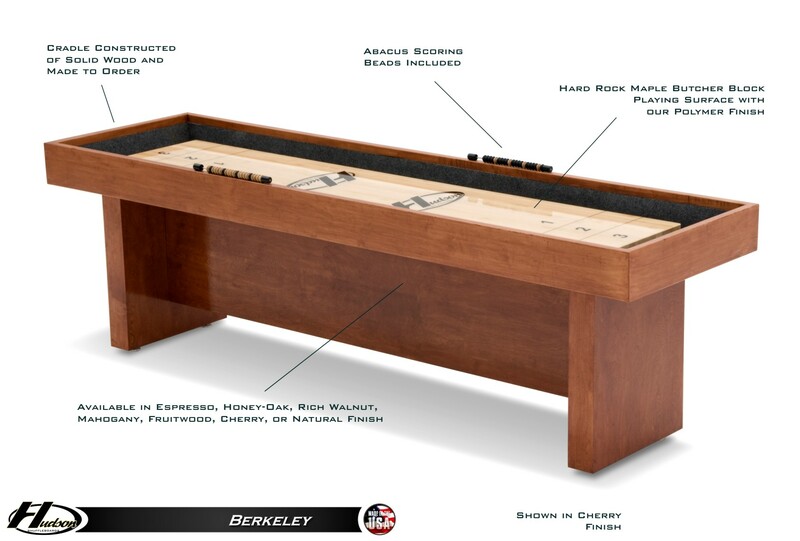 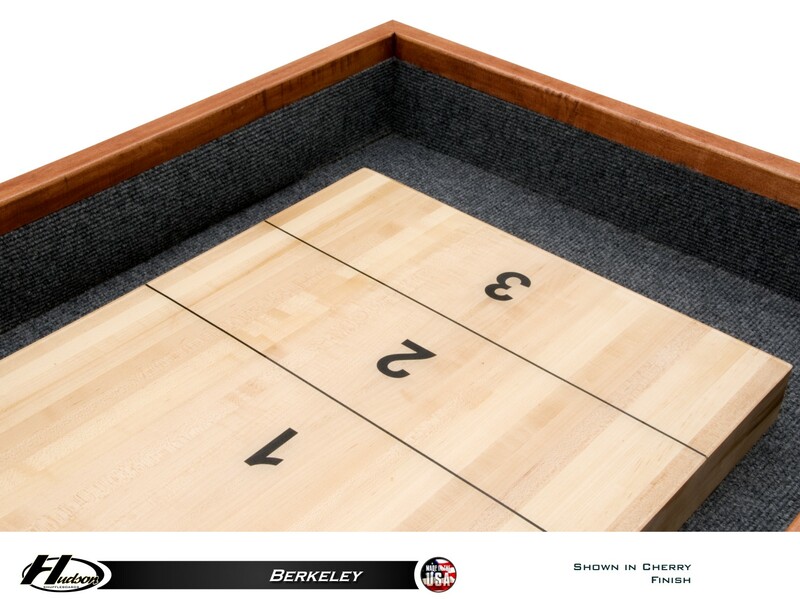 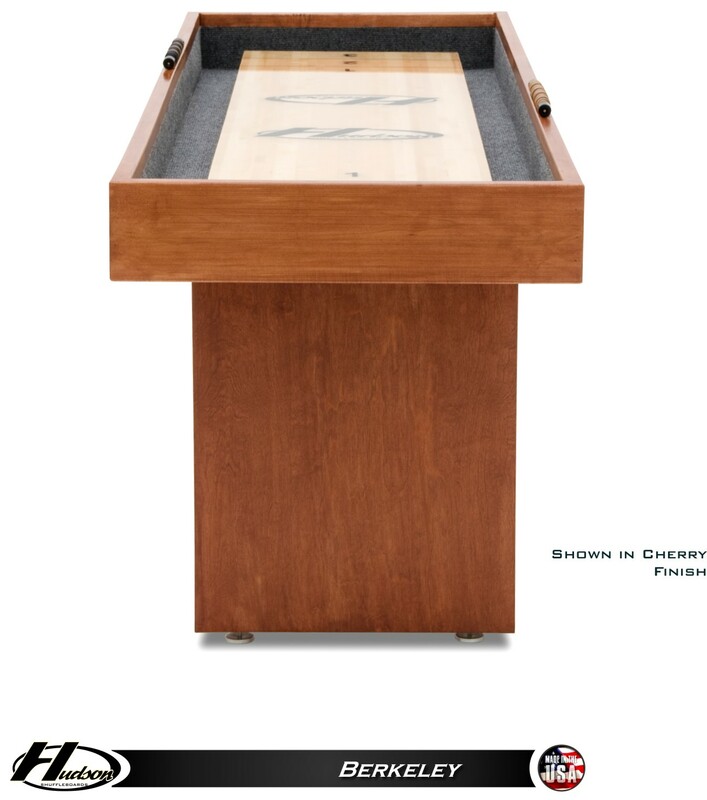 Handmade in the US, the Berkeley's 3" playfield is created with hand-selected kiln-dried Hard Rock Maple that is evenly covered with the same Polymer finish trusted by professionals. 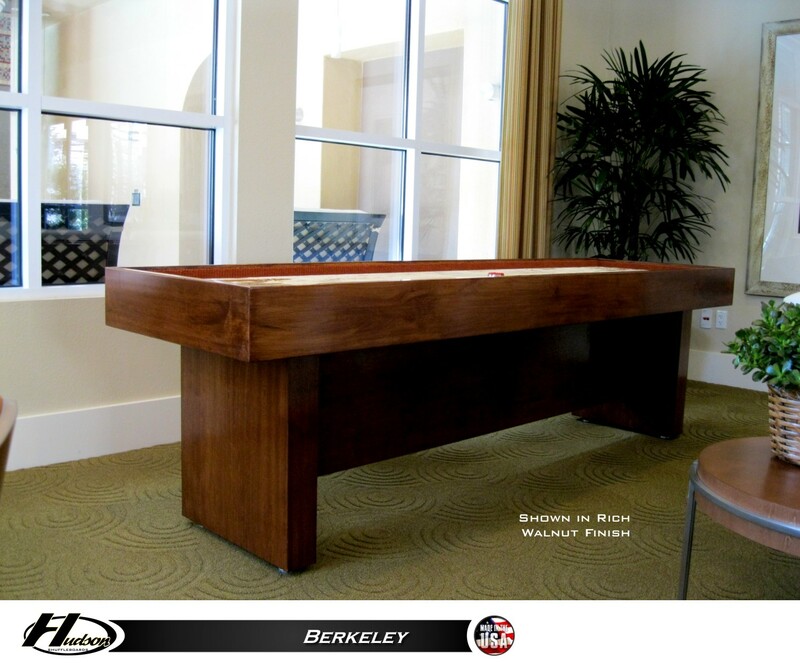 Climatic adjusters ensure the playfield stays smooth and consistent. 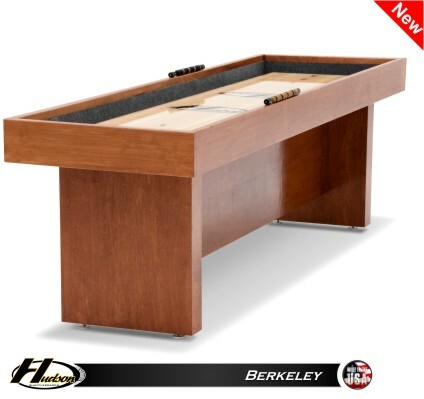 The solid poplar wood cradle provides the table with stability and durability.